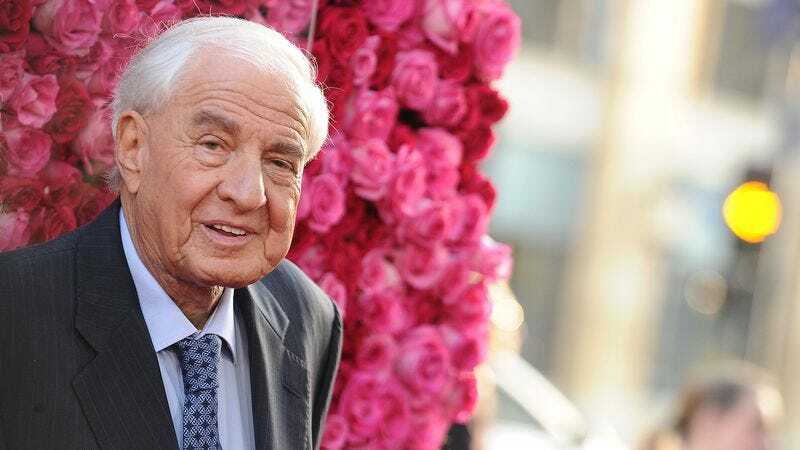 With the death of Garry Marshall, the internet is celebrating his legacy as one of the forefathers of modern Hollywood comedy. While his friends and showbiz compatriots have been tweeting their regards and voicing their sadness, those who didn’t know him or were more familiar with his work than his person have, instead, been posting interesting looks at Marshall’s life and work. Take, for instance, Marc Maron, who only recently met Marshall during a taping of his WTF podcast. Maron posted two remembrances of Marshall: one, a picture of Marshall using his WTF mug postchat, the other a link to Marshall’s WTF episode, which just ran in May around the release of Mother’s Day. While the picture is adorable, the podcast is probably a better way to become familiar with Marshall’s oeuvre. For those seeking more “Marshall being Marshall,” there’s always his 2012 commencement speech at Lafayette College in Easton, Pennsylvania, which is both heartwarming and hilarious. And for a real throwback, there’s Sitcom: The Adventures Of Garry Marshall, which takes a look at the late director’s typical day on set in the ’70s, with Marshall roller-skating between the sets of Happy Days, Mork & Mindy, and Laverne & Shirley.